Grainger does a great job with the almost non-stop action of this tale, told in appropriately terse and tough prose, then elevates it to an even higher level with a lengthy epilogue that delves deeper into the character of Gideon Miles. Over the past few years, the Cash Laramie/Gideon Miles series by Grainger and several other authors has produced some of the best hardboiled Westerns being written today. HELL TOWN SHOOTOUT is a fine addition to the series. 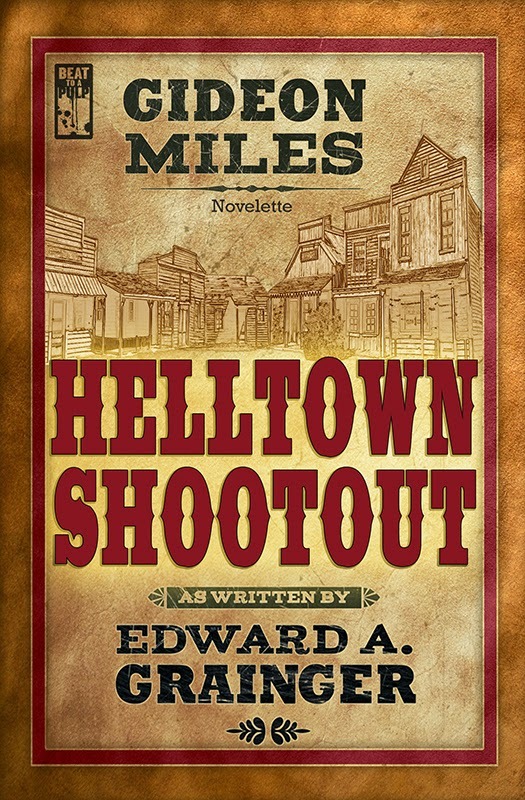 If you've read the others, you'll want to read this one, too, and if you haven't, HELL TOWN SHOOTOUT would serve as an excellent introduction. Highly recommended. Many thanks, friends. Your continuing support is never taken for granted. I am persuaded. I will find a copy to take along on my upcoming travels. Happy trails!